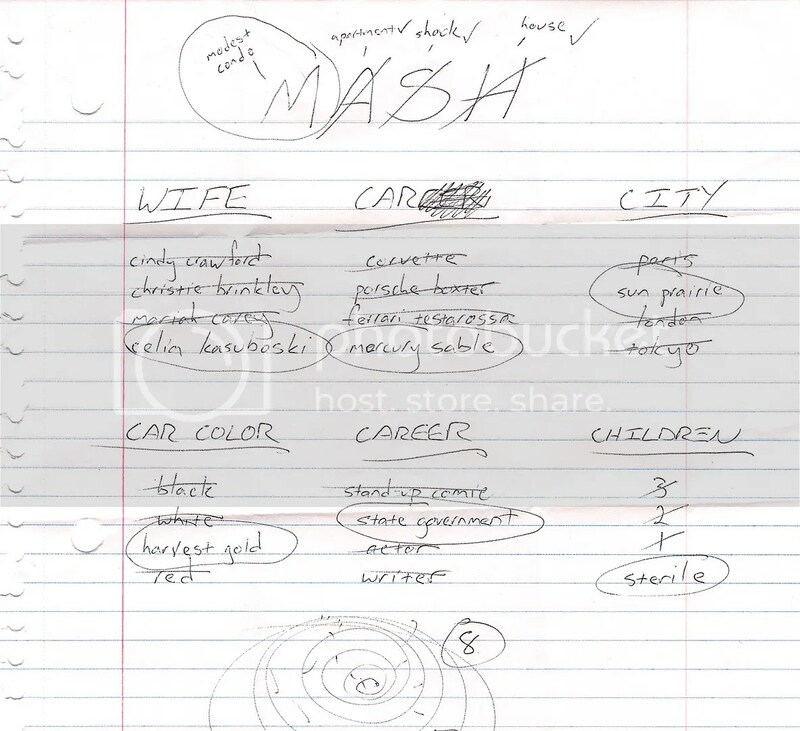 Check out this old ‘MASH‘ game I dug out of the basement from 1991. I can’t believe how accurate it was! < Previous The Dictionary Mixtape Society Strikes Back! If I didn't want those things, I wouldn't have listed them. Jury's out on the sterility, though.